Take Barre to New Heights! “The Fast Track” learning concept is intended to jump-start your morning breakfast with three, concurrent 20-minute presentations per time period. Each is designed to educate early-risers with the best practices on a variety of topics for immediate application in any club. 11:30am - 12:45pm | IGNITE! IGNITE! is a fast-paced, 75-minute event where selected speakers prepare 20 slides, each shown for 15 seconds, giving all presenters 5 minutes of fame. IGNITE! presenters share their personal and professional insights on a host of wide-ranging topics that can be informative, enlightening, humorous, or just plain fun! Thrive at 65: Becoming a Personal Trainer...in my 60s! Selling Your Club Like It's Mardi Gras!! Industry Leadership Council Members and guests are invited to talk about public policy opportunities to encourage physical activity as well as to discuss other risks and opportunities for the club industry. For more information about the ILC, contact Meredith Poppler at mpoppler@ihrsa.org. NOTE: This session will have limited seating to ensure full interaction between the moderator and all participants. NOTE: This session will have limited seating to ensure full interaction between the facilitator and all participants. NOTE: This session will be presented in Portuguese and Spanish. NOTE: This session will be presented in Russian. Sponsored by Perfect Gym Solutions S.A.
"Simple: 'You must go ... if you want to grow!' 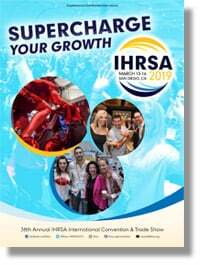 To go is a must ... to leave the competition in the dust"
Download the IHRSA 2019 Brochure Today! 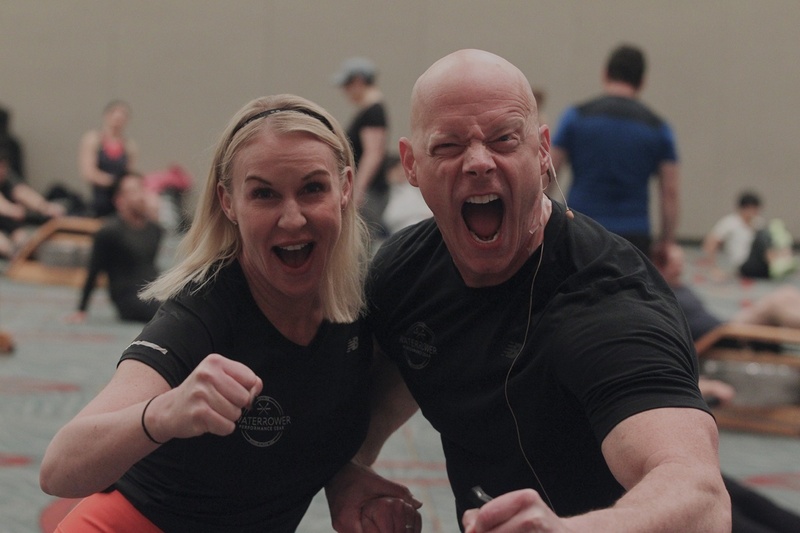 Get a jump-start on learning about the exciting IHRSA 2019 education sessions, networking events, and Trade Show details. The International Health, Racquet & Sportsclub Association is a not-for-profit trade association representing health and fitness facilities, gyms, spas, sports clubs, and suppliers worldwide. IHRSA and its members are dedicated to making the world healthier through regular exercise and activity promotion. IHRSA's events provide a vast array of speakers on business and corporate culture, instructional sessions on all aspects of succeeding in the health club industry, social events to mix and mingle with peers, and the most spectacular trade shows in the industry. Copyright 2019 International Health, Racquet & Sportsclub Association. All rights reserved.